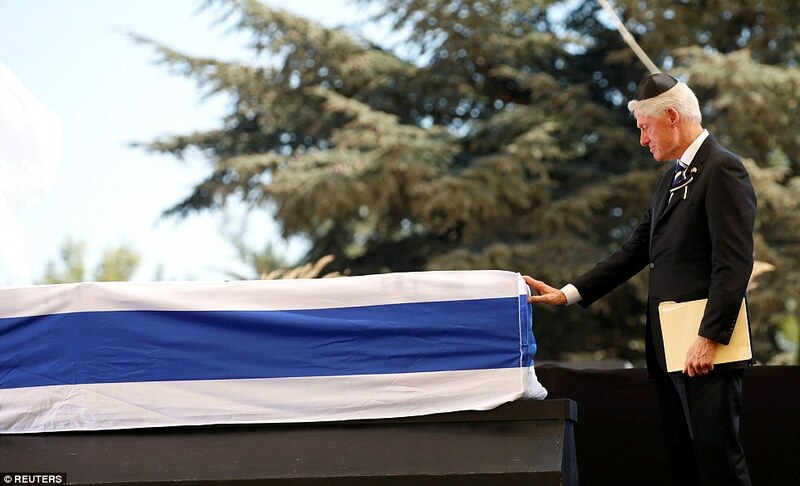 It was only a brief moment, but the handshake between Palestinian President Mahmoud Abbas and Israeli Prime Minister Benjamin Netanyahu will become one of the defining moments of the Shimon Peres funeral on Friday. Peres died Wednesday at the age of 93. Direct encounters between the two leaders are so rare that their last meeting in 2015 was widely described as a "one-in-5-years handshake." "Long time, long time," Abbas was quoted as saying to Netanyahu on Friday. The Israeli Prime Minister responded: "It's something that I appreciate very much on behalf of our people and on behalf of us." 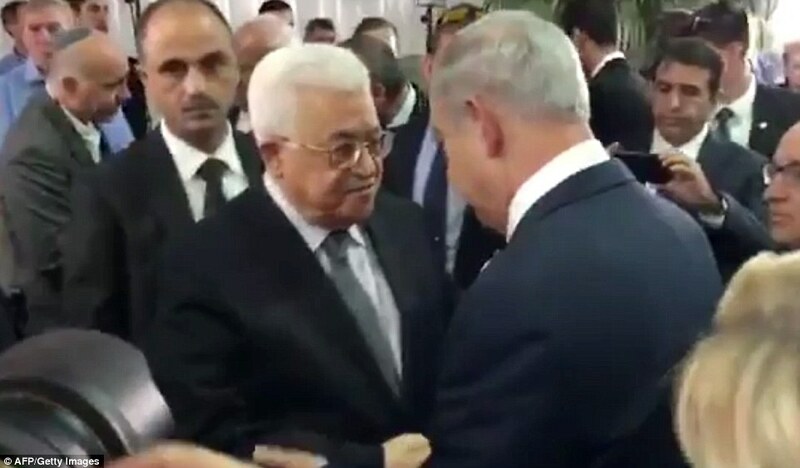 Soon afterward, Abbas was criticized by some for his welcoming gesture. Social media commentator critical of Israel called him a "sellout," a "wolf in sheep's clothing" and one argued that "the Arab world won't be happy." To some, the fact that one of the most newsworthy moments during the Shimon Peres funeral was a handshake between a Palestinian and Israeli leader symbolizes the failure of peace efforts in the Middle East. Peres shared the Nobel Peace Prize in 1994 for his role in finding an agreement on a peace framework between Palestinians and Israelis. Despite their friendly encounter in Jerusalem on Friday, Netanyahu and Abbas have not directly negotiated since 2014, when the last officials exchanges took place. The two leaders have also not held direct talks on controversial Jewish settlements since 2010. Although Israeli media outlets speculated in advance about the possibility of a new handshake in Jerusalem on Friday, Haaretz newspaper argued that the gesture would have little impact. "Even if Abbas does shake Netanyahu's hand during the funeral, it is still unclear if the event will turn into an opportunity for an official meeting between the two leaders," the paper wrote Thursday. After the two greeted each other at the World Climate Change Conference last year, both emphasized later that their encounter should not be overestimated. "It was purely protocol, not a working meeting," Netanyahu said. "So we shook hands, that’s crystal clear. But we didn’t talk." In several instances, Israeli leaders and Palestinian President Abbas were at the same events but did not meet. In June, for instance, Abbas declined to meet Israeli President Reuven Rivlin in Brussels. Both Abbas and Rivlin were in the city at the same time by coincidence. Earlier this month, Dutch lawmaker Tunahan Kuzu also refused a handshake with Netanyahu when the Prime Minister visited the Netherlands. Kuzu had reportedly pinned a Palestinian flag to her lapel.